Warsaw or Krakow? Now you don’t have to choose as ten years after Poland entered the EU, there is a relatively unknown treasure waiting for cycle tourists to discover it. A dense network of what was previously sandy or stony small country roads has now been newly paved, and the smooth asphalt roads with minimal traffic are perfect for a beautiful cycling holiday. That’s why we recommend Poland as a premier cycling destination, and the Pilica Cycle Path is a leisurely and simple week-long bike tour that starts in Krakow and ends in Warka near Warsaw. This tour can be easily combined with our week-long Krakow and the Dunajec path cycling holiday. On the way, one can also get a different perspective of the river from a canoe. Saturday arrival in Krakow and first overnight stay at a centrally located hotel. After finding your room, there is time to stroll through Krakow for a first impression of its historic city centre and famous nightlife..
After the bus ride to Smolec, which takes approximately one hour, we get on the bicycles on a hill with medieval castle ruins. The first kilometers are downhill through Jura landscapes towards the source of the river. We ride further past fish ponds, through a pretty town, with the same name as the river – Pilica – to our accommodation at Zawada. The flat and quiet roads run through shady forests for the most part, and you will scarcely notice the kilometers flying by. This leg is the longest and ends in the small town of Przedbórz which is next to Przedbórz Landscape Park. Once more, we pass through tree-lined avenues, narrow fields and fragrant meadows and even gardens in full bloom until we come to an exceptional accommodation. Our hotel was once a Cistercian abbey built on the extensive grounds of a castle from the Middle Ages. For this leg of our journey, we first go past the reservoir with many places to go for a dip. After that, the open air museum at Piliza is well worth a visit. The largest city on our route is Tomaszów, with 30,000 inhabitants. A network of car-free cycle paths takes one to Spala, a popular forest health resort. Spala lies within a forested area that has been a favorite hunting and recreational area since the 19th century: first for the Russian Czars and then Polish presidents. This area also has remnants of recent history – the colossal railway bunker at Konewki was the command post ‘Anlage Mitte’ of the German military during World War II. Our overnight stay is in the small town of Nowe Miasto at a guesthouse located directly at the river. This last leg goes past Wysmierzyce which with its 858 inhabitants and old wooden houses is considered to be the smallest town in Poland. Next, we cycle through vegetable fields and orchards. The final destination is the four-star hotel and horse breeding farm “Sielanka”, or “idyllic land” at Warka. Day 8: End of tour or individual extension of stay. Warsaw is only 60 km from Warka and is easy to reach with the hourly regional train. The journey takes about 1 hour 20 minutes. Those who wish to stay a day longer can go on the 30-40 km round-trip to Weichseltal and the Pilica estuary. Our Krakow and Poland holidays routes may be subject to change or alteration. All route notes, maps and day-by-day information will be given to you upon arrival at the first hotel or at the welcome meeting. GPS/GPX files are available for most of the cycling tours in Poland we offer. Please ask us for route details of our other cycling holidays in Poland. We recommend flying to Krakow airport to reach the starting point of this cycling holiday to Warsaw. The hotel is located in the centre next to the old town and not far away from the city’s main railway station ‘Krakow Glowny’ please see enclosed map. Getting there from the main railway station (Krakow Glowny) If your luggage is not too heavy you can get there on foot (10-15 minutes’ walk). Otherwise a taxi is a good option (cost approximately 10zl = 2.5 GBP). If you do not have any zlotys you can find both currency exchanges and cash machines near the railway station. Getting there from the Airport Travelling by train is the fastest way to get from the airport to the city center. The new Kraków Airport train station is located near the passenger terminal, at the rear of the multi-storey car park. Trains depart every half hour and bring you to the main railway station in just 17 minutes for only 8 zl (1,50 GBP). The usual cost of the taxi will be approximately 70 zl (14 GBP) but please set the price with the driver at the beginning. Please do not exchange all of your money at the airport because of unfavorable exchange rates. Getting there by car Driving in the centre is really complicated so if you decide to come by car, use GPS-navigation. The best way is to take the following route: Pasternik - Opolska - al. 29 Listopada - Warszawska (do not miss it the turn after the bridge over the railway!) - Basztowa - Westerplatte - left to Kopernika st. where you will find the gateway to the hotel parking. It is a secured parking where you can leave your car for the whole week for approximately 50zl/day (12 EUR, 10 GBP). Cheaper parkings are near the Airport, prices starts from 90 zl = 19 GBP per week. Important: Please book your flights only after the cycling holiday to Warsaw has been confirmed by invoice or email. Flights and transfers are not included in the advertised holiday price. The Krakow to Warsaw cycling holiday includes the daily transfer of luggage to the next hotel and local support if required. 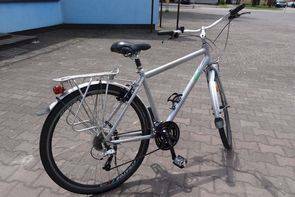 This cycling holiday uses quality crossbar and unisex hybrid bikes. 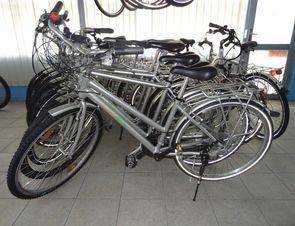 Each bike is equipped with a comfortable, gel saddle, Shimano components and puncture-proof Schwalbe tyres to ensure that you have an enjoyable cycle tour. The bikes feature modern V-brakes, bottle holders, computer meters, adjustable seats, aluminium frames with mudguards and a rack for a supplied waterproof pannier. 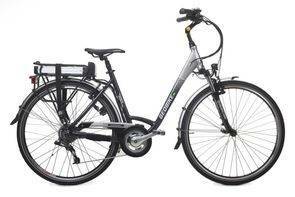 Bike are maintained systematically in the workshop on a regular basis. You will receive an accessories package including a bicycle pannier bag repair kit, lock, key, and air pump when you collect your bike.